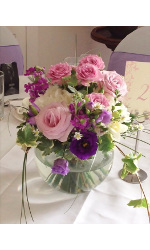 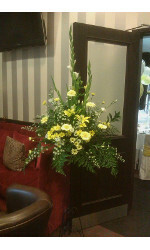 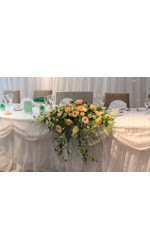 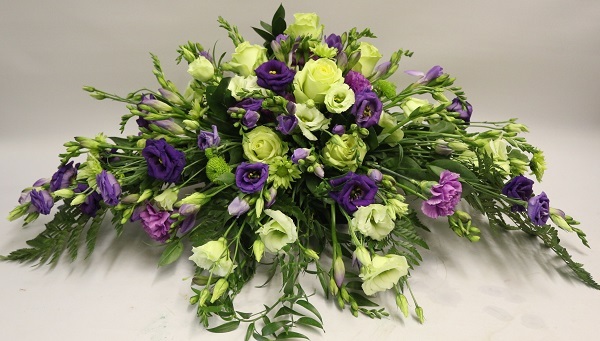 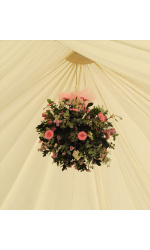 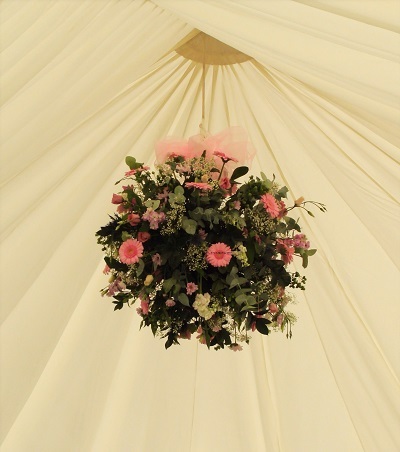 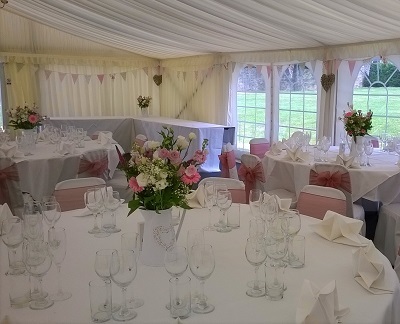 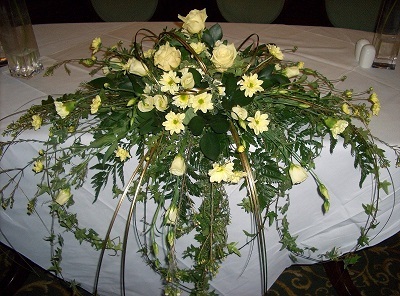 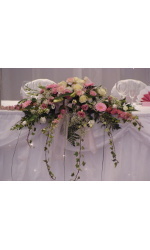 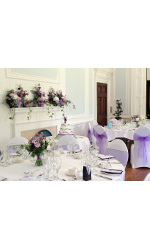 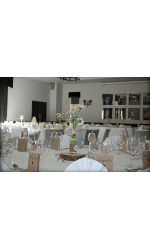 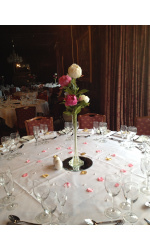 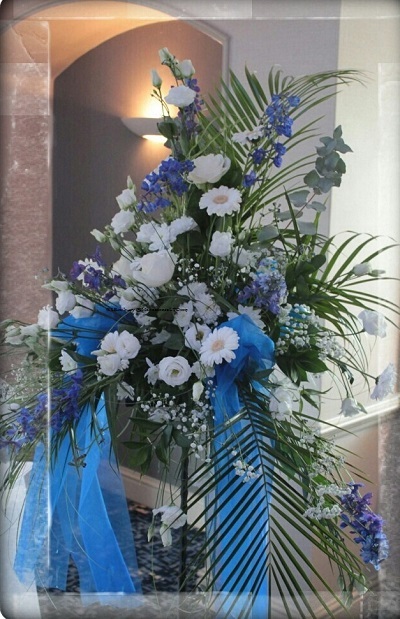 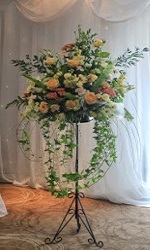 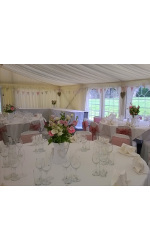 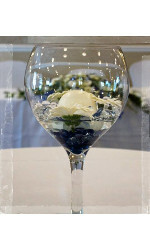 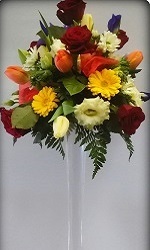 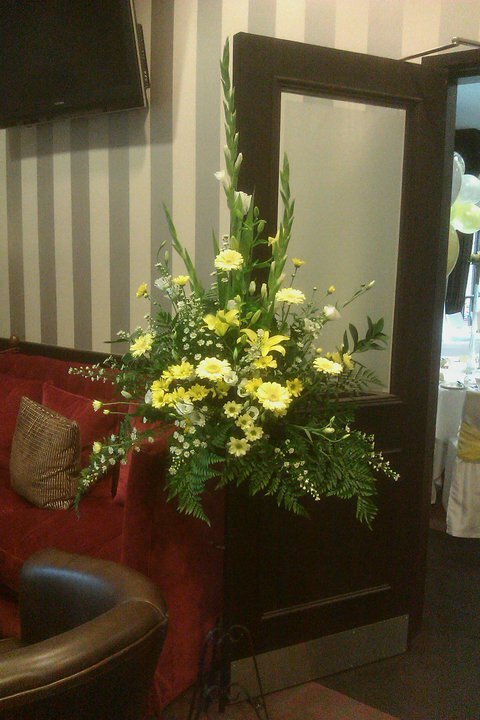 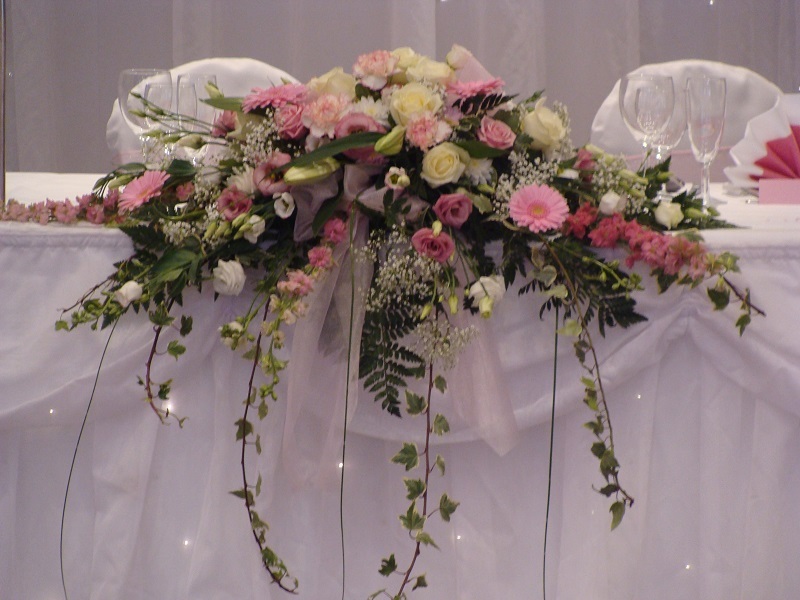 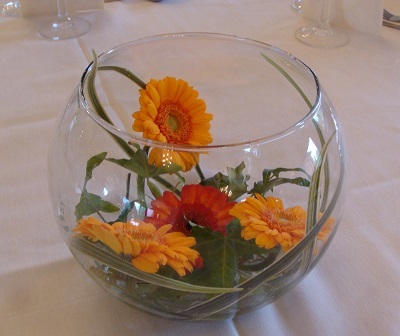 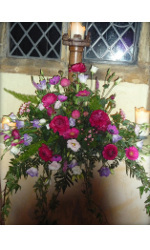 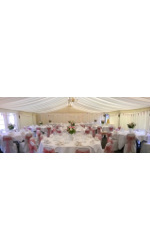 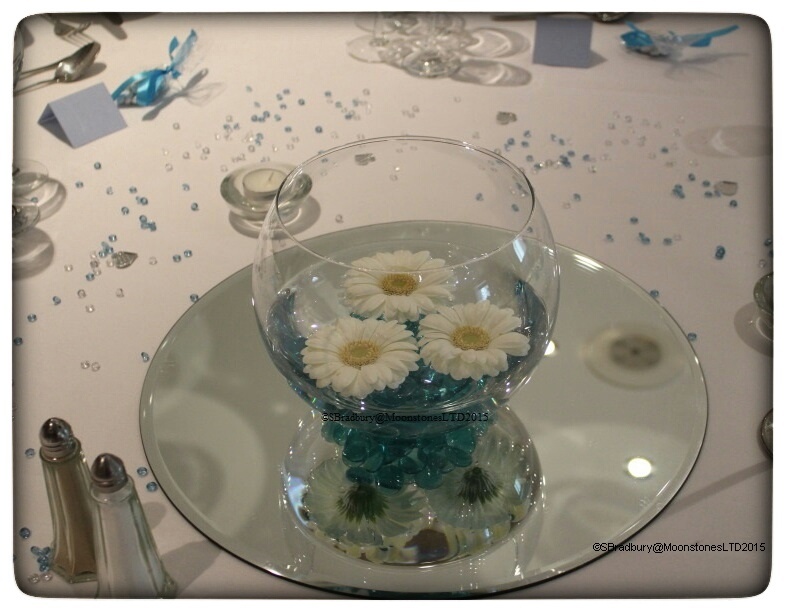 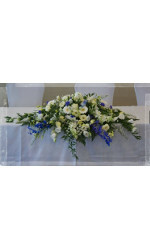 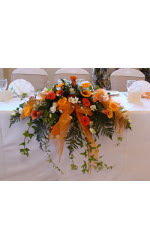 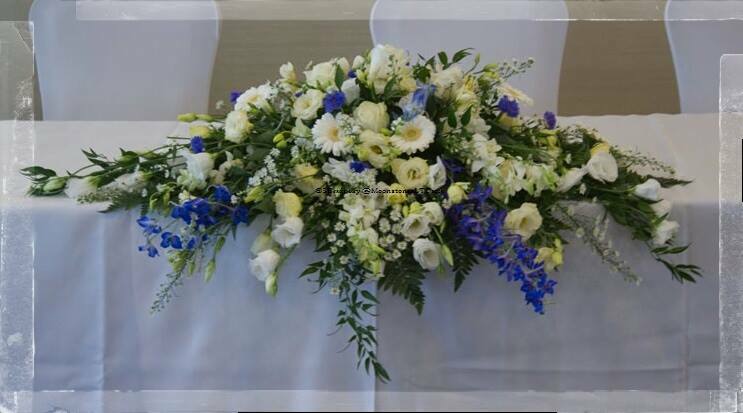 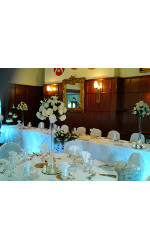 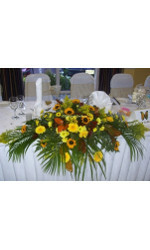 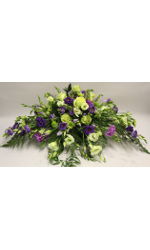 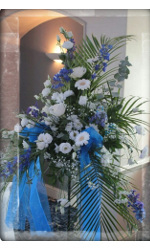 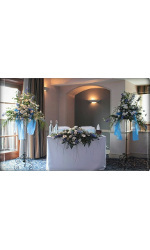 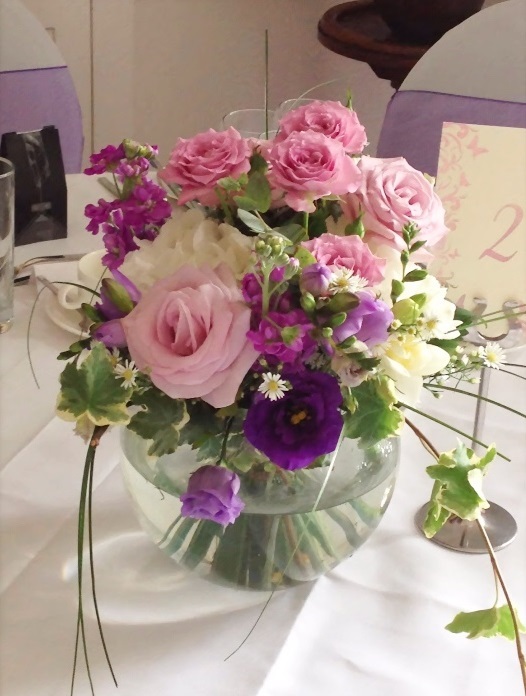 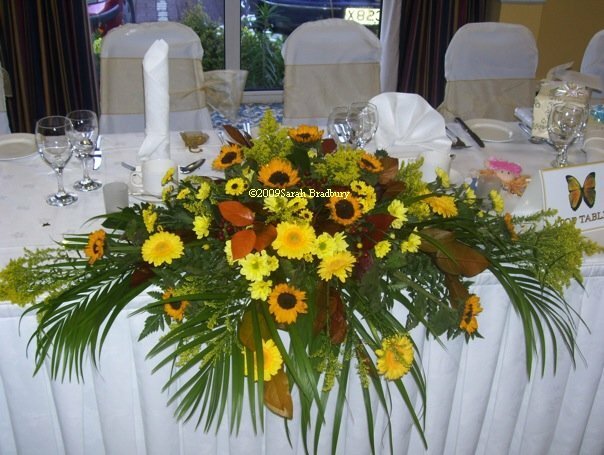 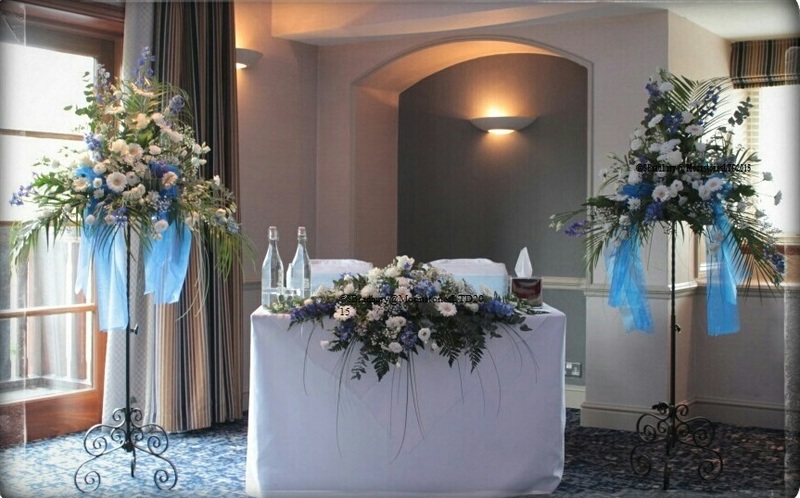 Wedding Reception Flowers By Moonstones Florist, Fareham. 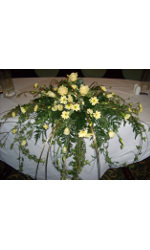 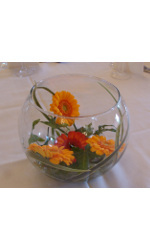 Nowadays there is a whole host of table decorations to choose from. 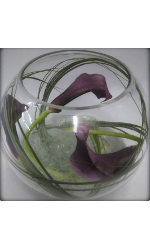 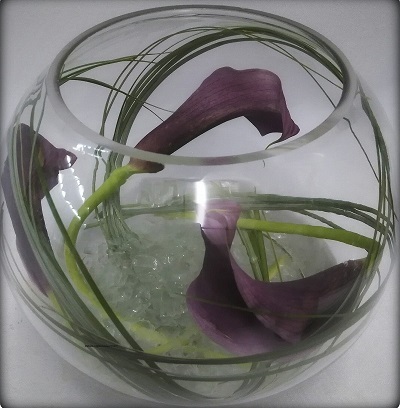 Whether it is glass vases, glass cubes, candelabras, candles, galvanised or terracotta pots, there is something to suit all themes and of course budgets. 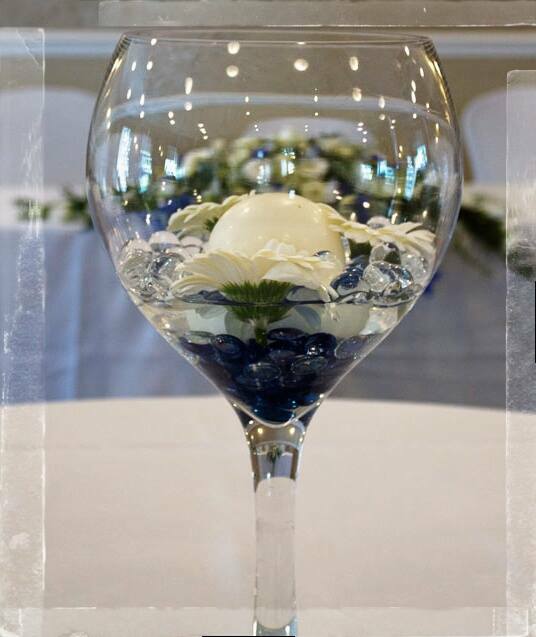 Moonstones can create that personal and relaxed ambience. 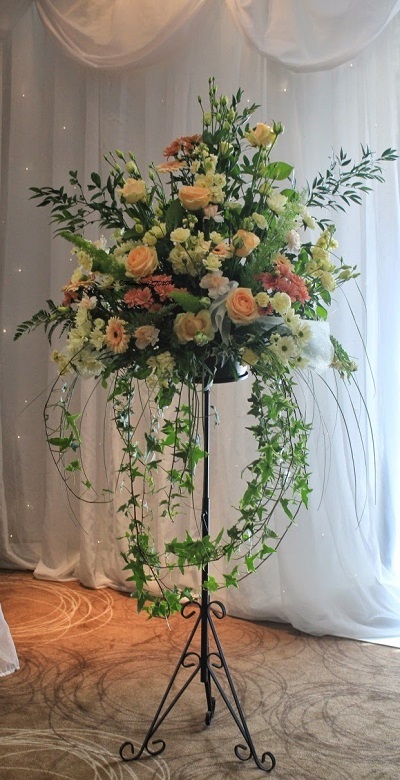 From something stunningly simple and beautiful to elaborate head table arrangements, creations for arches, pedestal, fireplace, pillars, stairways and much more. 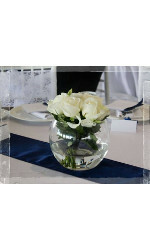 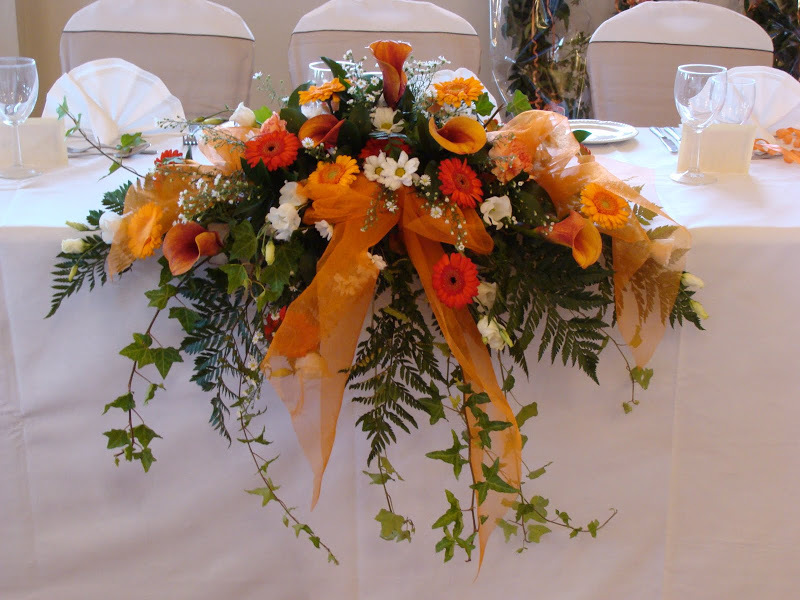 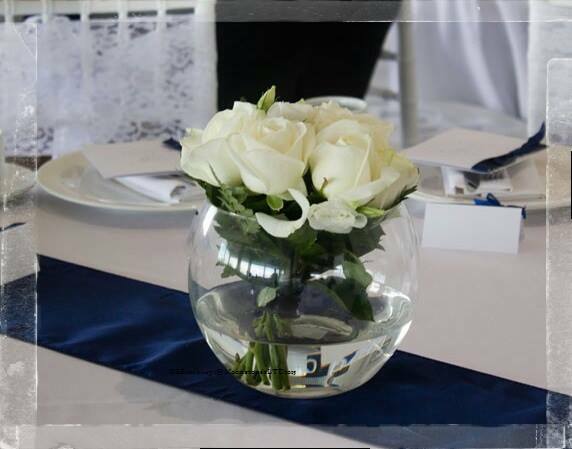 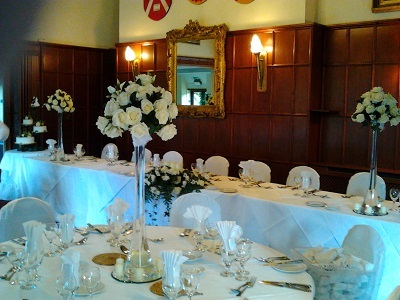 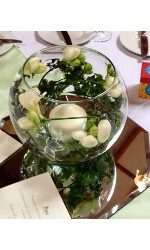 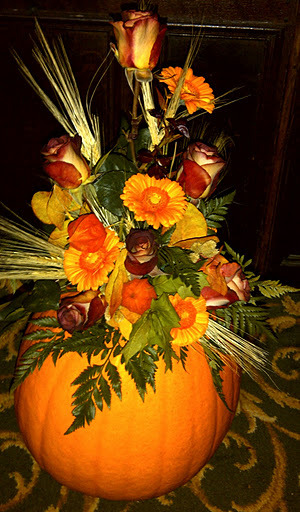 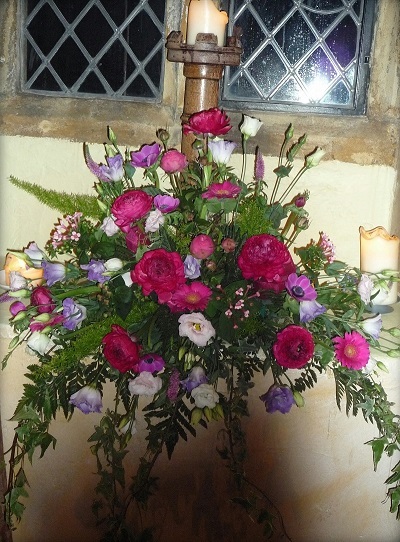 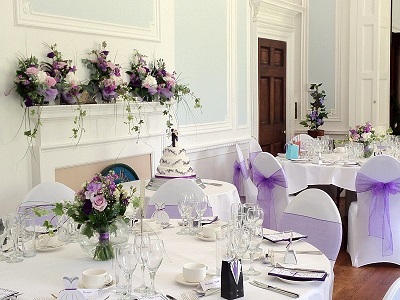 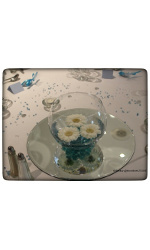 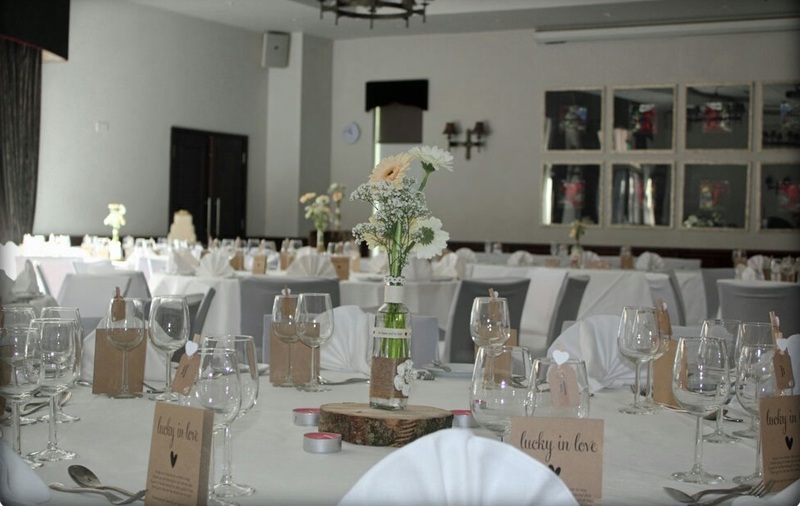 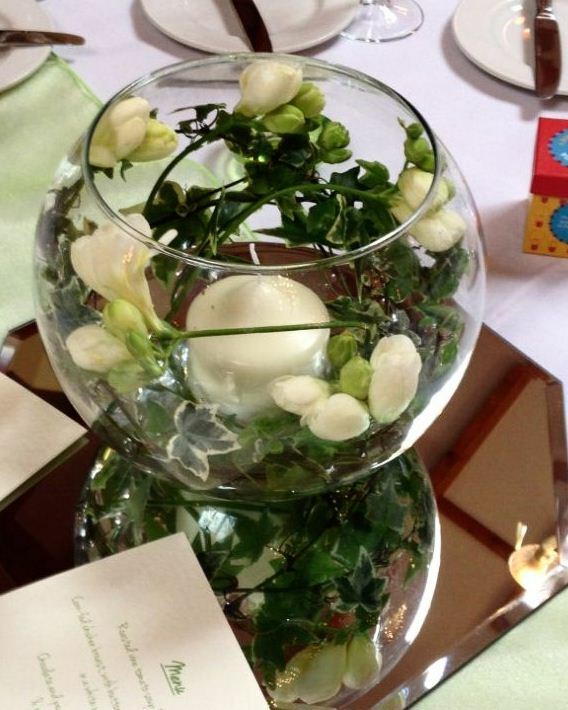 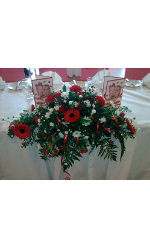 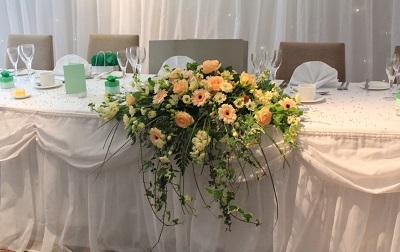 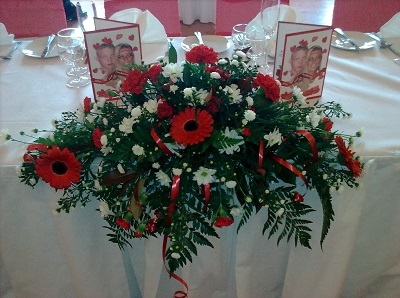 Stunning table and hall decorations can be used as gifts for those special guests, as a memory of a truly special day.